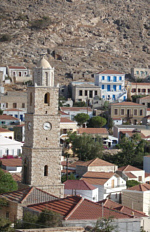 If you are interested in booking a holiday in Villa Yorgos, the Halki Townhouse or one of the Nikitas Apartments, or if you would simply like more information about the Halkidirect properties and Halki itself, please get in touch with us. We are happy to answer your questions and send you a price list for the season. 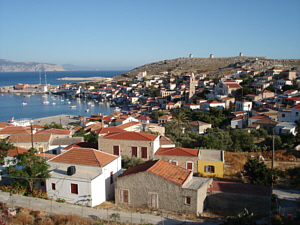 Halkidirect is a locally owned business, run on Halki by Yorgos Hatzigiannakis and his English wife Caroline. 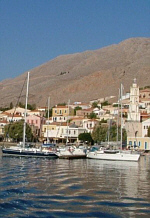 Living on the island they take personal care of the properties and maintain them to a very high standard. They are always available to help and advise you with all aspects of your holiday. 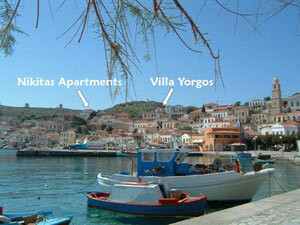 Villa Yorgos, Nikitas Apartments and the Halki Townhouse are all officially approved by EOT, the Greek Tourist Office. This means they are legally registered as rental properties, meet health and safety requirements, and are regularly inspected by the Greek Fire Police.